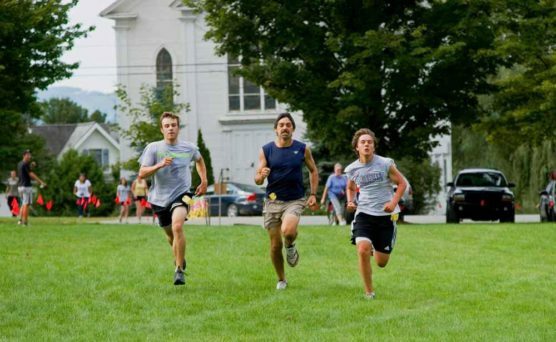 Set for its annual late summer running here in this small town in Vermont’s Northeast Kingdom region, just a short drive from the Canadian border, the Kingdom Run unfolds along an easy-on-the-feet dirt road from start to finish, and welcomes both runners and walkers in all three race distances. 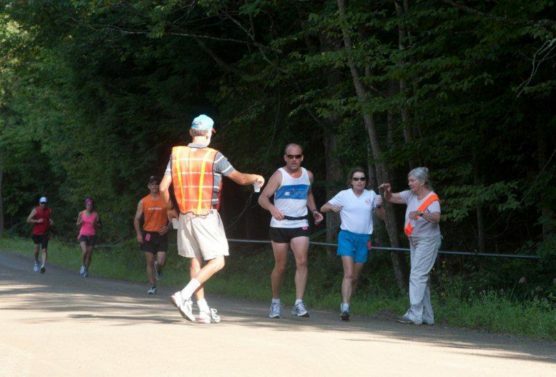 Runners (and walkers) will start the race on Irasburg Common in the center of this small town, whose history dates back to the 1780s and today is home to just over 1,000 residents. 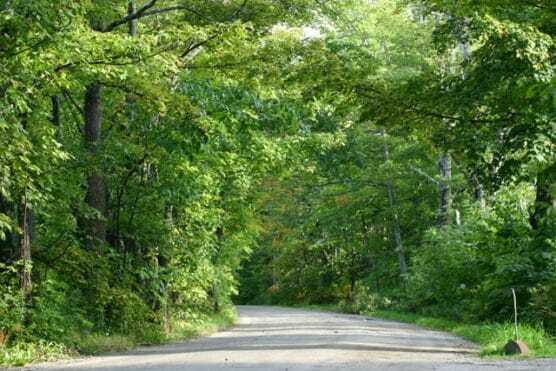 From there, they’ll run an out-and-back course that features small to moderate hills, with the course rising in elevation on the way out from town, in the race’s first half. When you’re on your way back into town after the turnaround, the course is all downhill. The most challenging sections of the course occur around the mile 4 and mile 5 markers, organizers say, and then again on the return route back, about halfway between the mile 7 and 8 markers. 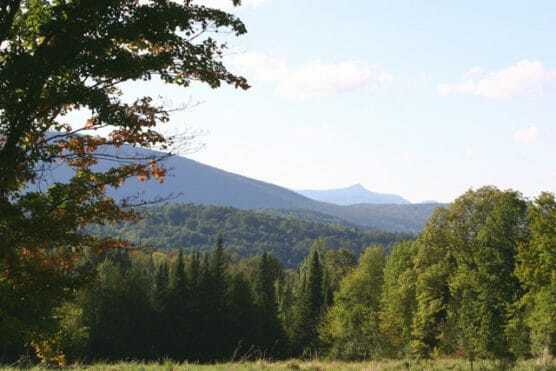 Much of the course is shaded by tree canopy, and features plenty of scenic views, including Vermont’s Jay Peak off in the distance. 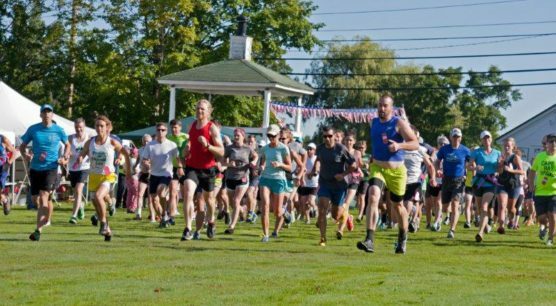 One of the things for which the race is best known (and loved) is the blueberry sundaes that are served to all runners and walkers after they cross the finish line. 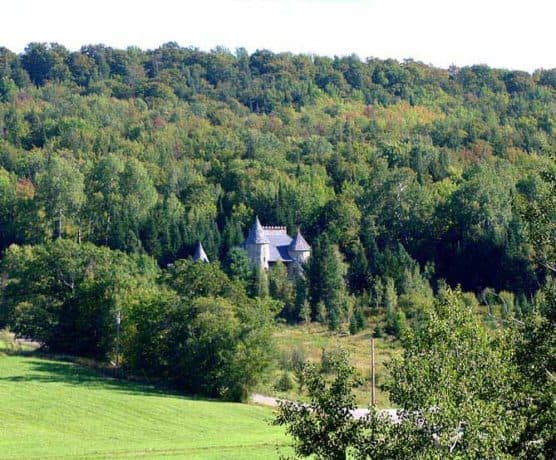 Located just miles from the U.S.-Canadian border in northern Vermont, roughly 50 miles north of Montpelier, Irasburg typically sees its second-warmest month of the year in August, which brings temperatures that average between the mid-50s and the mid-70s, and is also its second-rainiest month of the year. On race day (Aug. 10), the average low is 55ºF and the average high is 77ºF. See the race route map for the Kingdom Run Half Marathon here. Registration for this event will open soon. 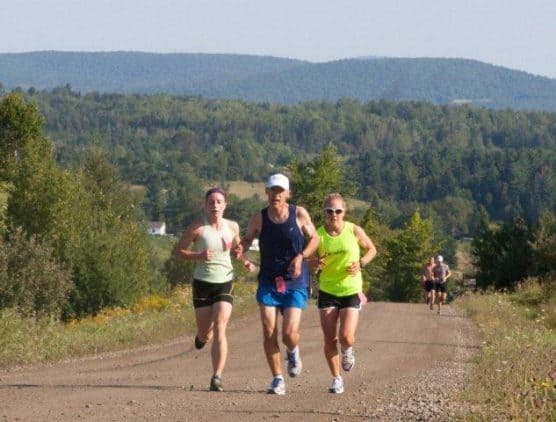 To reserve your spot in the 2019 running of Irasburg’s Kingdom Run Half Marathon, 10K or 5K race, visit the event website below. Ever run in the Kingdom Run Half Marathon? Share your impressions here, as well as anything you learned about the race that you think other runners/walkers should know.